Hi! I hope you all had an amazing Christmas, I cannot believe that it is over already, it has gone so fast!! I always get sad when Christmas and New Year is over because it is one of my favourite times of the year. Christmas hauls and 'What I got for Christmas' posts are one of my favourite posts to read and watch around this time of year and I absolutely love reading everyones posts about what they received. It is a shame though that these posts need to have a disclaimer - I am in no way bragging about anything that I have received. I love sharing all of things that I got and I hope that it inspires other people if they might be stuck for gift ideas throughout the year. I haven't included every single thing that I got for Christmas and I would be here all day showing you all of the funny little gifts that I got that I love. I appreciate every single thing that I got. This is my first year doing this post as last year I was a little scared to do it as I was new to blogging and was not sure how it would go down. I also want to say that my parents are separated so I do get presents from both my mum and my dad and step family, so that is the reason why it seems like I get a lot! I thought I would also include who got me what as they all deserve credit for the amazing gifts. So, the first lot of gifts are all from my mum and they are just small and somewhat funny gifts. 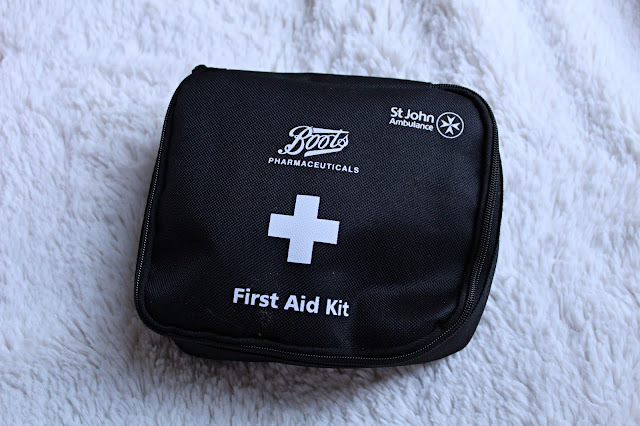 This is going to be really handy for me to keep in the car, I am always hurting myself and especially when I am out the house and not near any shops, I can just grab this and viola, I'm all sorted. 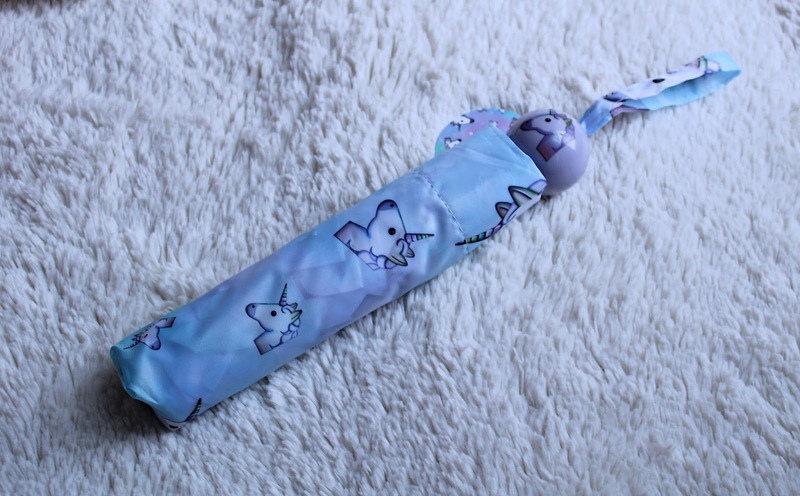 Unicorn Umbrella: Again, this is from my mum and she said that she couldn't just walk past it and not buy it for me. 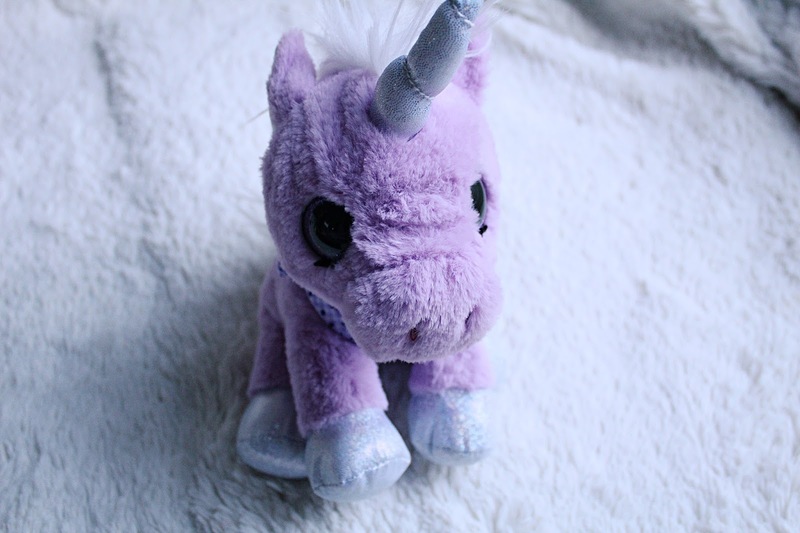 Everyone who knows me, knows that I am obsessed with Unicorns. You will probably see a reoccurring theme of Unicorns in this haul haha. I'm pretty sure that this is from Primark and it has Unicorn emoji's all over it and I have to admit I freaking love this. It now lives in my handbag and has saved me from being soaked a few times now haha! 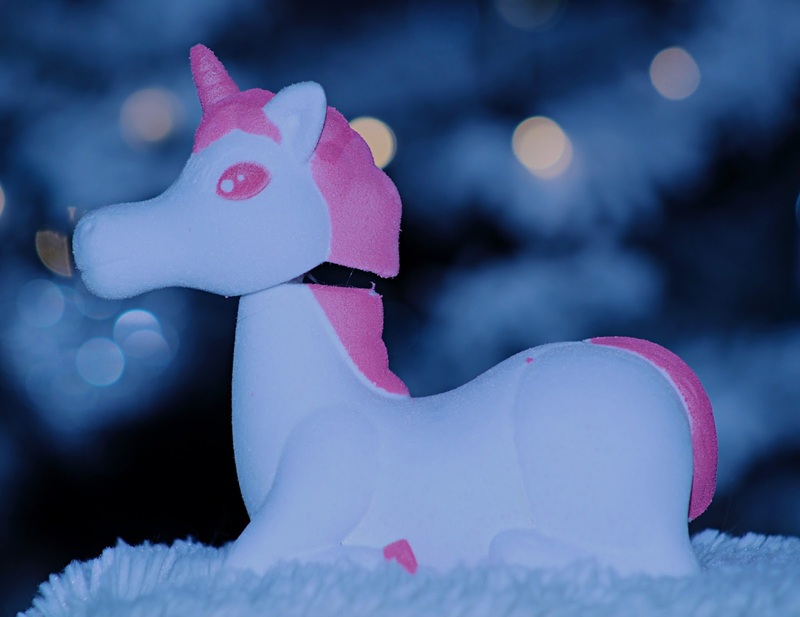 Nodding Unicorn: Did I mention there may be a reoccurring Unicorn theme throughout this haul? This nodding Unicorn was a gift from my mum. There is a funny story behind it. My nan used to have a nodding Scooby Doo in her car and I absolutely loved it but it lost all its sticky-ness. So, my mum said when she saw this she just had to buy it for me for my car (whether I actually put it in my car is another story). I think she said that she got it from Amazon, so if you are wanting a nodding Unicorn for your car then you know where to find one. Socks: Is it really Christmas if you don't get socks? 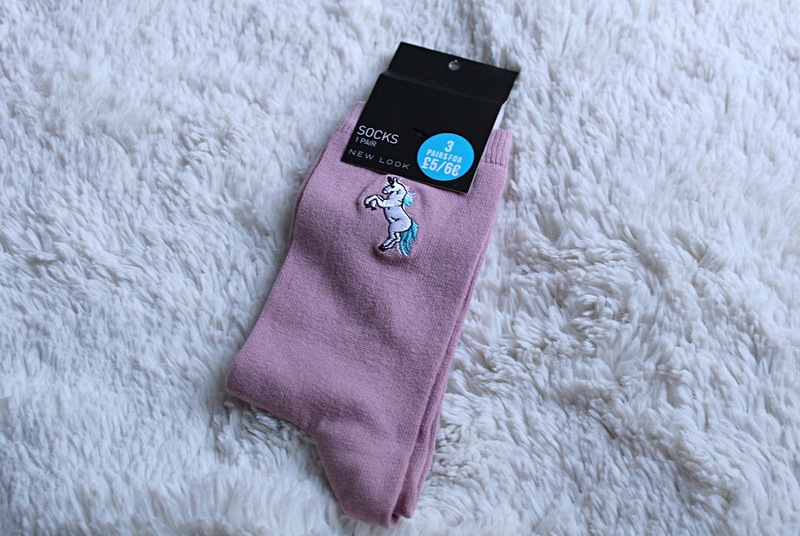 Every year my mum will buy me and my brother socks and this year she bought me the cutest pair of light pink socks with a tiny Unicorn on the side of them. These are from New Look and they are one of my favourite presents. I have worn them as many times as I could since getting them. These next gifts were all from my sister-in-law, Katie. Scarf: Isn't this just the cutest scarf? I had to admit, I only wear scarves in the winter when it is really cold, otherwise I just get too hot and sweaty in them. However, Katie got me this cute, light scarf that is grey and has pink horses on it. I have to also admit that I am more of a neutral colours kind of girl but I love the grey and the pop of pink. Keychain: This one sums me up pretty well, a handbag keychain. Another obsession of mine is handbags and I am terrible for constantly changing up my handbag after a certain amount of time. I just get so bored of handbags so easily, even though most of them are always neutral colours haha! So, this is the perfect keychain to sum me up. 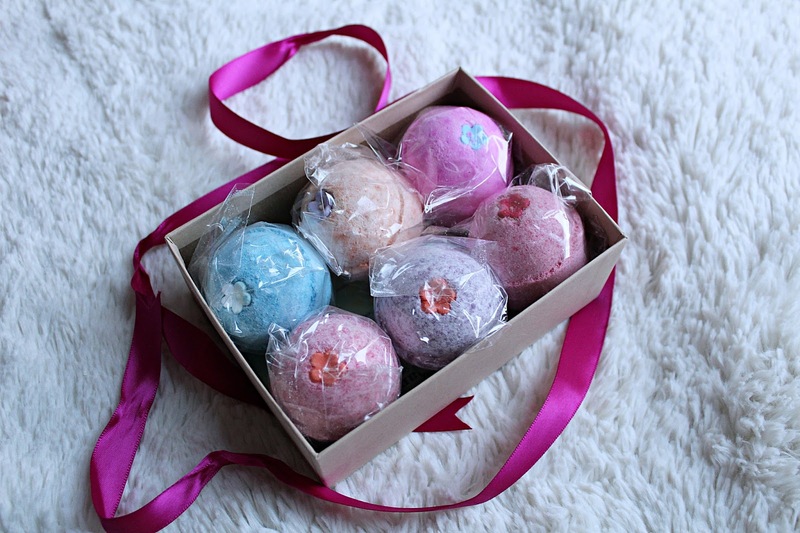 Bath Bombs: Anyone who knows me knows that I LOVE bath bombs. They make getting a bath more fun and exciting and the smells that come from them are just heaven. Bath bombs are one of my favourite gifts to receive because I always feel bad when I buy some for myself because they can be quite expensive. I am not actually sure where these ones are from. 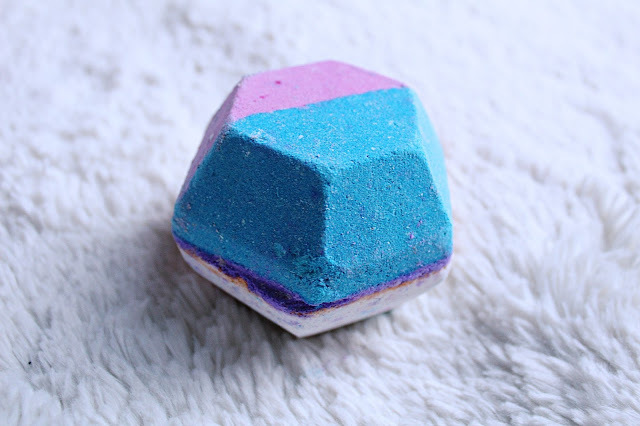 I know that they aren't Lush ones but from a website I believe. They smell absolutely incredible and I have actually used one since getting them and they are lovely. 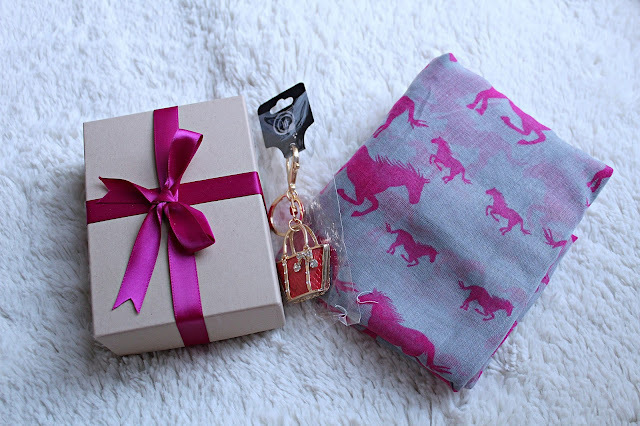 Unicorn Jewellery Trinket: Another one of my favourite gifts from this year, I have been needing something to put all of my jewellery into instead of it all sitting loose on my dressing table and then getting lost eventually. 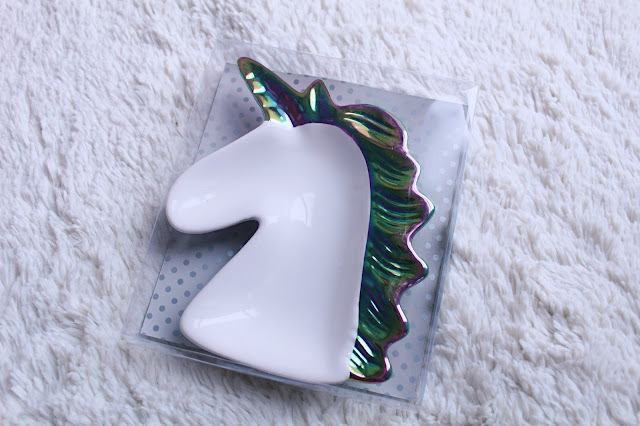 This is so sweet and is in the shape of a Unicorn (of course!) and it fits perfectly on my dressing table. P.s, this is perfect for storing your false eyelashes on too lol! E.L.F - Glam and Glow Kit: This kit was on my Christmas wish list. This was again, from my mum haha. I am pretty sure she got it from Superdrug during the Black Friday sale and got a really good deal on it. Inside you get a small highlighter palette that has 4 shades inside, a contour brush which is super soft, a cream eyeshadow that is in a gorgeous gold/champagne cover and finally, a pink lip balm/tint that changes colour when it is applied, so everyone has their own shade. Makeup Revolution Advent Calendar: This is a funny gift, in November I was wondering around Superdrug and I was desperate to pick this up but they had all sold out. My mum got me this and gave it to me on Christmas Day, I was wondering why she was trying to put me off from trying harder to get one. 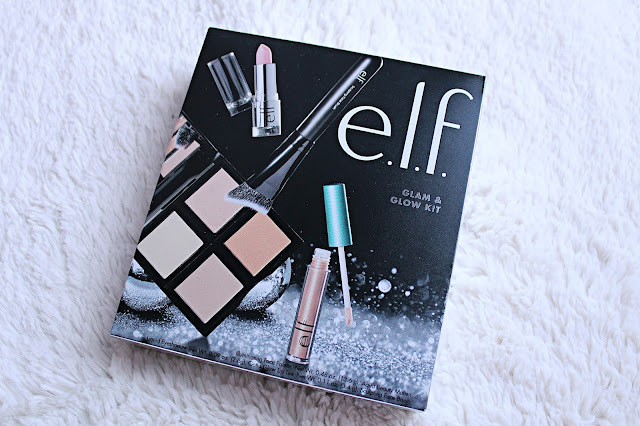 So, I was super excited to open this up on Christmas Day and it felt even better to rip open all of the days and see all of the gorgeous makeup inside all the doors. De'Lanci Eyeshadow Palette: Again, this was on my Christmas list, I had seen it on Amazon and it had a lot of good reviews with people saying that it was really similar to the Morphe palettes. 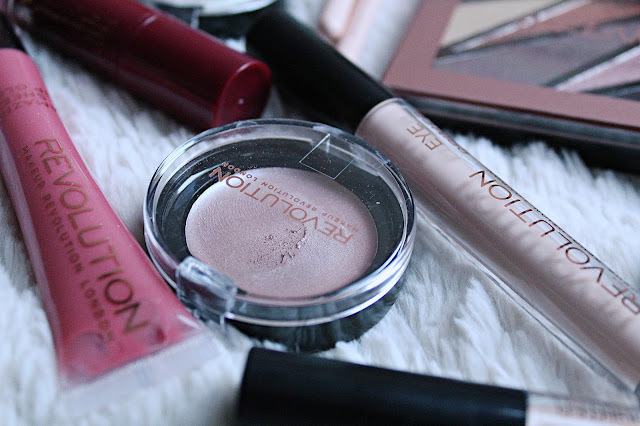 I have only used it once since I got it but the shadows blend out really well, however there is a bit of fallout from them but nothing too major. 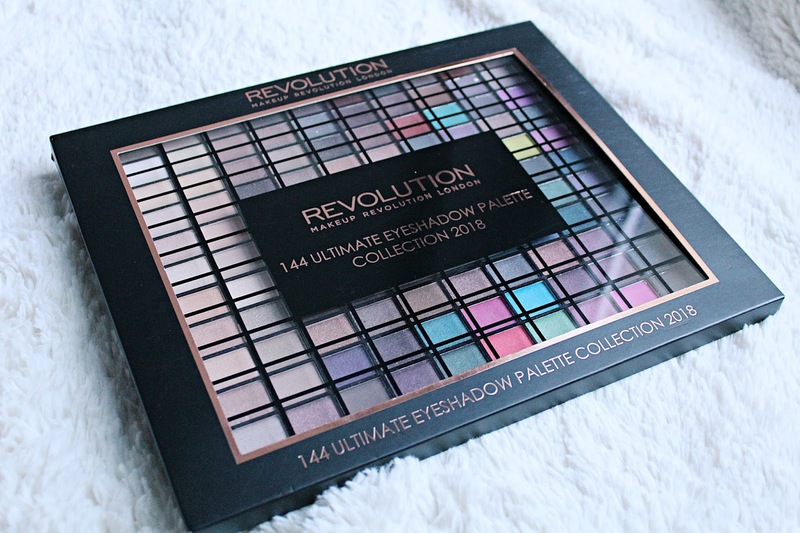 Makeup Revolution - 144 Ultimate Eyeshadow Palette: This was a gift from my step brother Bradley, I have to admit he did really well haha! 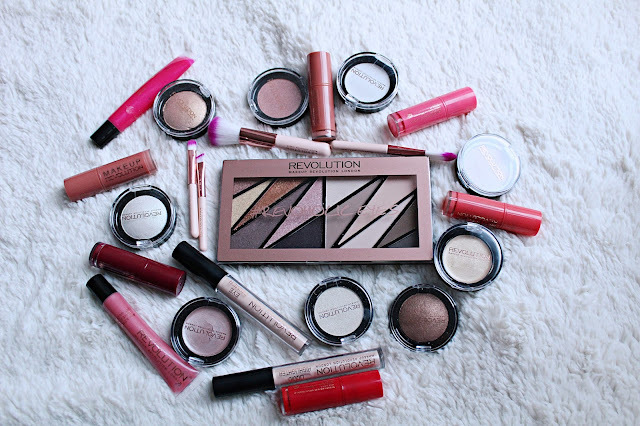 Anyone who knows me knows that Makeup Revolution is one of my favourite makeup brands. 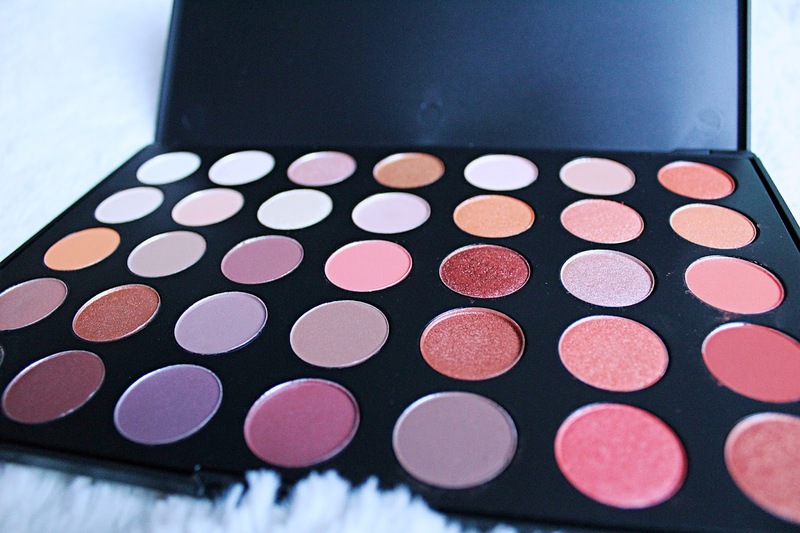 This is a 144 eyeshadow palette that has every possible colour that you could ever need. Both shimmers and mattes and they blend out okay but because they are such small pans it is hard to put your brush in there fully. 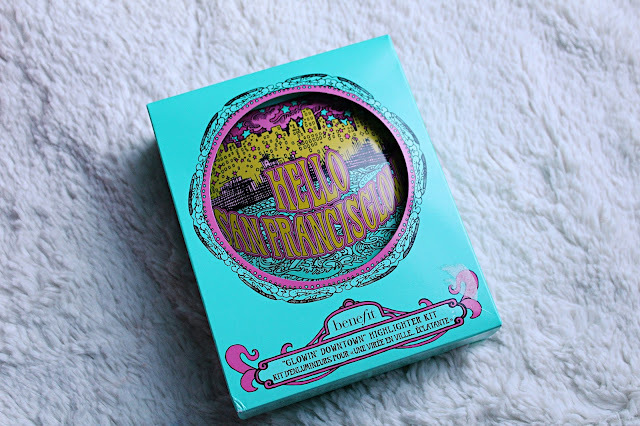 Benefit - Hello, San Fransicglow! Highlight Kit: I love this set! When me and mum went Christmas shopping I came across this in House of Fraser and loved it and my mum offered to buy it for me and keep it as a Christmas present, but of course, I forgot about it haha! This kit comes with every highlighter you could possibly need, high beam, dandelion twinkle, a little brush, shy beam and a Whatt's up. I also love the little tin that this is in and couldn't bring myself to throw it away. 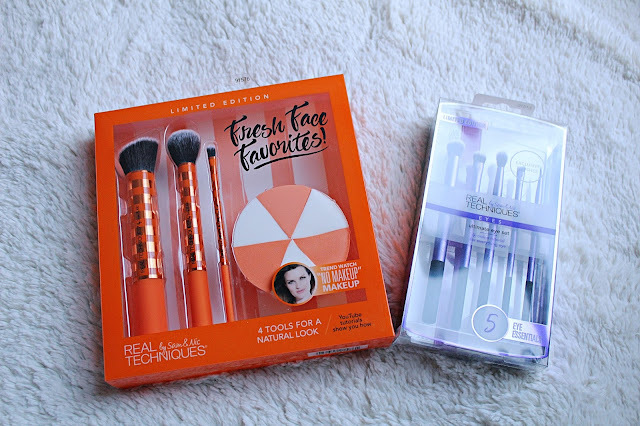 Real Techniques - Fresh Face Favourites Brush Set: This set was from my step sister Charlotte and I have to admit I have never seen this set before. 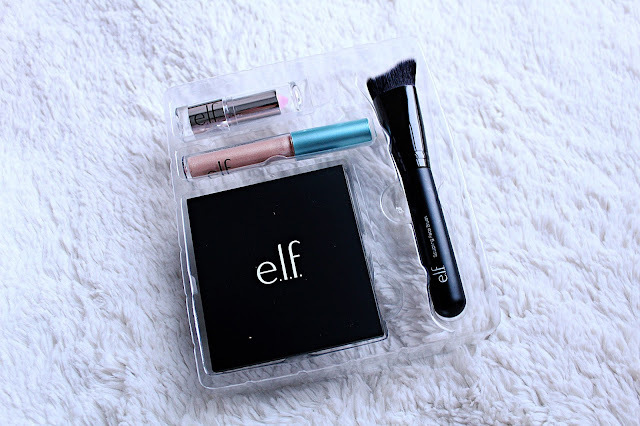 I love the little triangle sponges that come with it as they are super handy to have and to keep in your makeup bag for whenever you might need them. Also, they are perfect for baking under the eyes and carving out the cheekbones too because of their pointed shape. 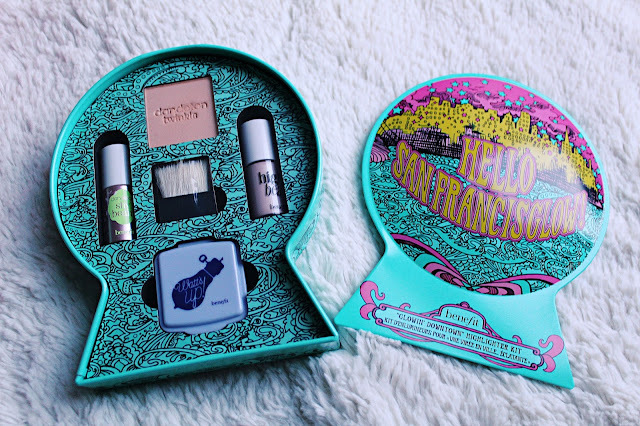 The brushes in this are also suuuper soft and blend out powders really well. Real Techniques - Ultimate Eye Set: My dad and step mum got me this brush set. I did give this set to my mum though because I already have 2 lots of this set from last Christmas and funnily enough, one of them was from my dad haha! 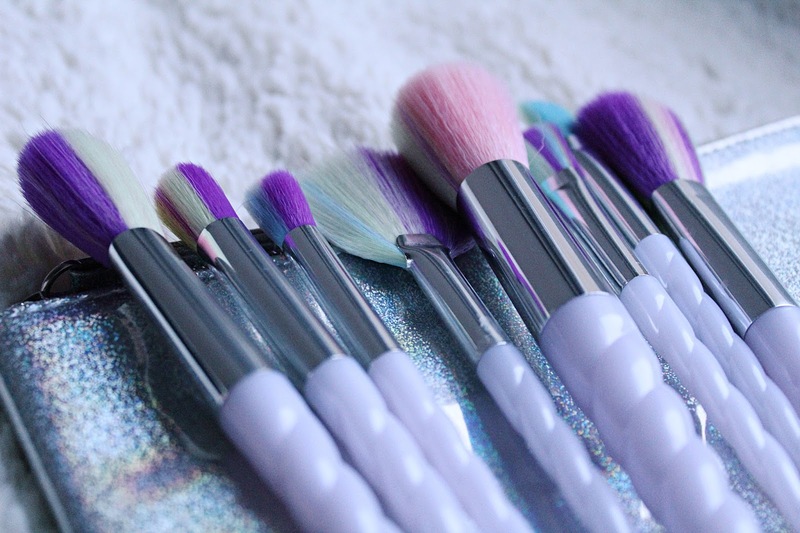 Unicorn Brushes - Primark: My mum got me these really cute unicorn brushes from Primark. I absolutely love them and the fact that it came with a little case too. I had been eyeing these up in store for about a month before Christmas. 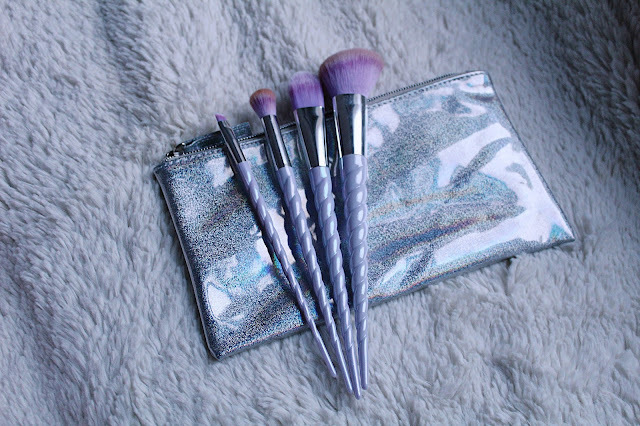 Unicorn Brushes - Amazon: These were again from my mum, she mentioned that she ordered these ones before she picked up the ones from Primark and when these arrived she mentioned that they didn't look too great. I have tried them out since and they are actually really good and made really well too. They also add a little colour to my dressing table! Books: I am such a bookworm, ever since I was little all I wanted to do was read all day, every day and that hasn't changed one bit. Every year my family will get me books for Christmas because they know how much I love to read. 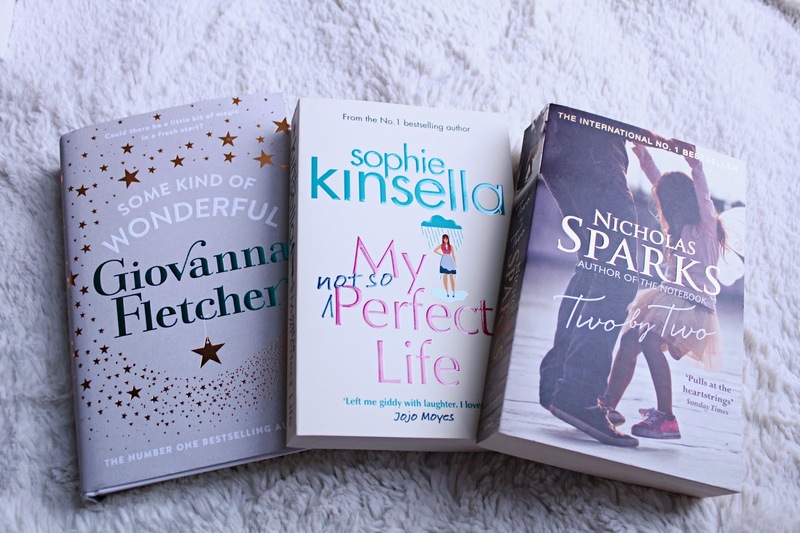 All of these were on my Wishlist apart from the Nicholas Sparks one, my dad picked that one out all on his own! 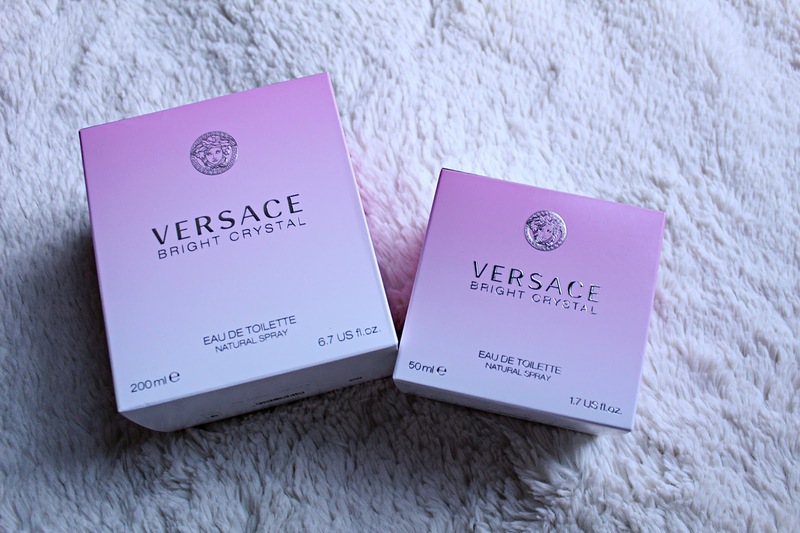 Versace - Bright Crystal Perfume: Both my mum and my step sister got me a bottle of my all time favourite perfume for Christmas. I ran out of this just after my 21st birthday this year and was absolutely gutted so I put it on my Christmas list. Now I have enough of this perfume to last me a good long while. 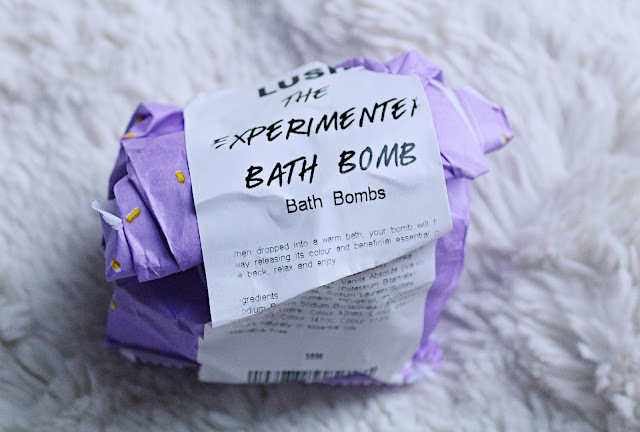 Lush Bath Bomb: Every year my dad will buy me something from Lush as he knows that it is one of the only places that I can get skincare products from, this year he got me a bath bomb called the experimenter, I haven't used it yet but I cannot wait to try it out. 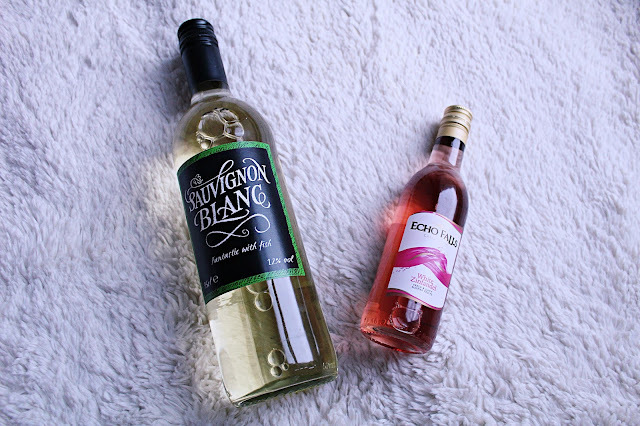 Wine: Of course, one of the best things about being an adult at Christmas time is all of the alcohol that you get. My uncle and auntie, and my step brother all got me some wine for Christmas which you know I love. 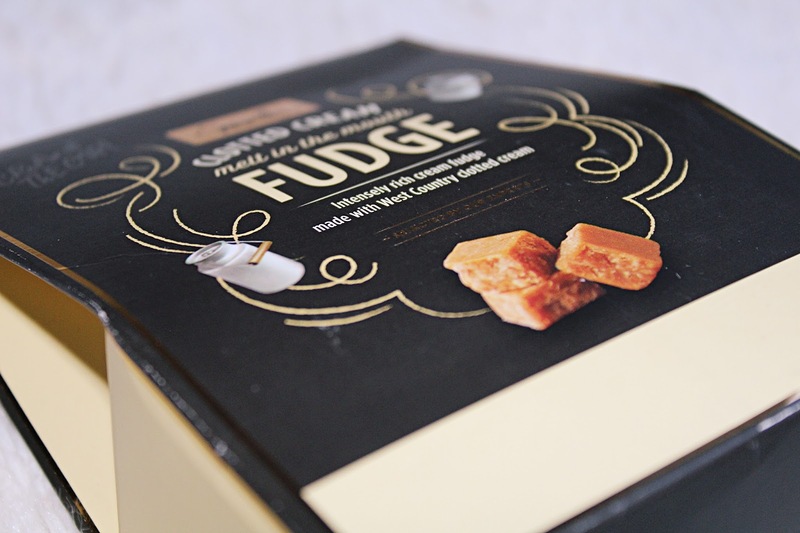 Fudge: This is fudge from Aldi, it only ever comes out around Christmas time but it is the best fudge ever!! My mum bought me some as a present because she knew how much I love it. 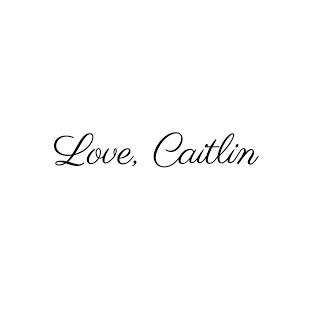 I love getting gifts like this for Christmas that are really thoughtful. 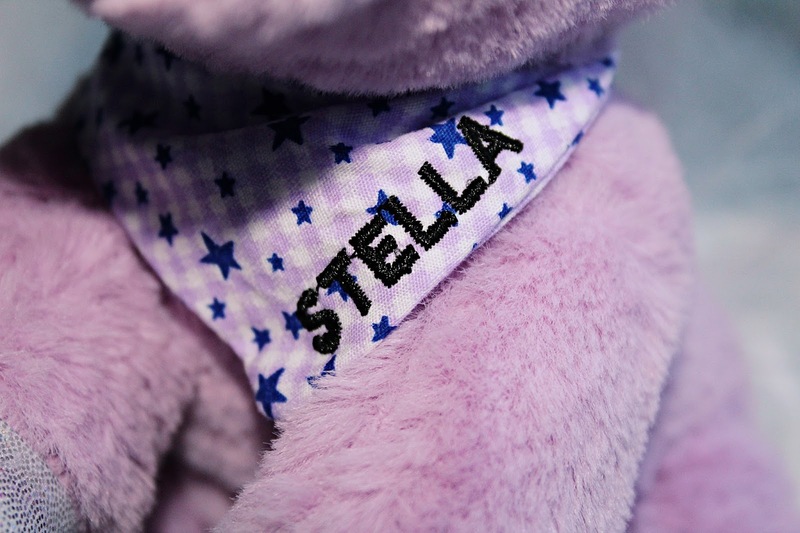 Stella the Unicorn: This was a present from my little brother Kai, everyone in my family knows how much I love unicorns so he asked my dad and step mum if he could get this for me for Christmas. My dad said he originally wanted to get the giant sized one but had to settle for the smaller one instead. I love this and it now sits on my bed along with all of the other unicorns. 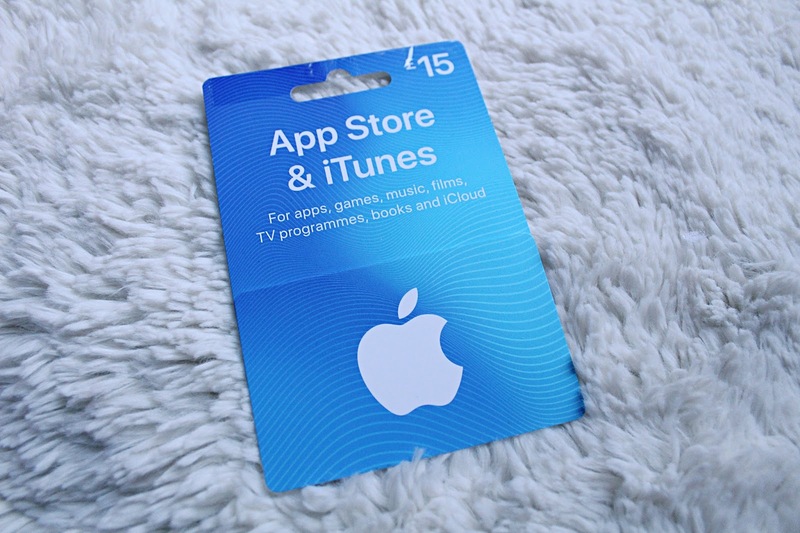 iTunes Voucher: This was a gift from my auntie and uncle, every year they get me a voucher of some form. I love getting iTunes vouchers because there is always something that I want to purchase but I refuse to pay for haha! These are really handy and I have already used some of it to purchase the Greatest Showman soundtrack (best film ever)! Colgate Omron 250+ Electric Toothbrush: These were my 2 main presents for Christmas from my mum. 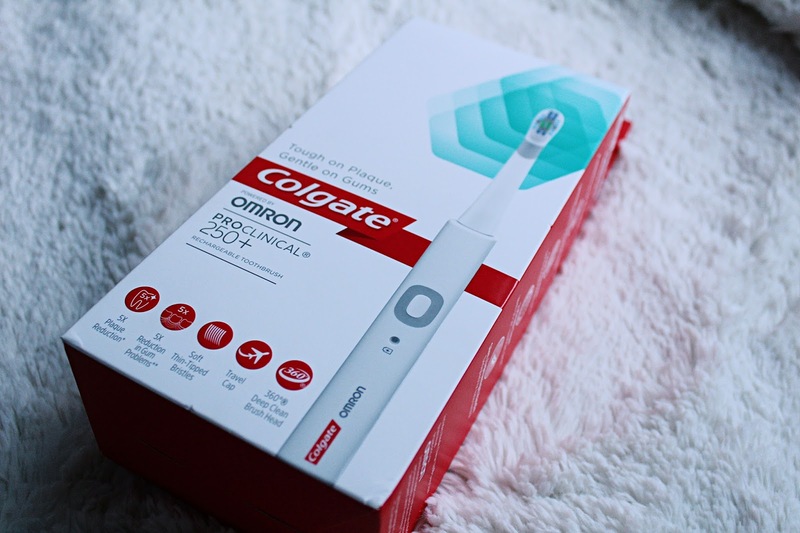 The first is my electric toothbrush, I have been wanting one for such a long time but I didn't like the shape of the Oral B ones so I kept looking and found the Colgate one and wanted it sooo bad. This is a really good toothbrush that stops briefly every 30 seconds and then turns off after 2 minutes so you know you are finished brushing. I have used this every day since Christmas Day and I love it and charging it up is so easy too. Pandora Charm: This infinity pandora charm is from my mum and it is gorgeous. I have a little collection going on on my bracelet now. This charm matches the infinity ring that my mum bought me for my 18th birthday. I just want to say a huge thank you to everyone that got me a present for Christmas. I tried to show everything that I got but I had used some stuff beforehand and couldn't wait to take a photo haha. 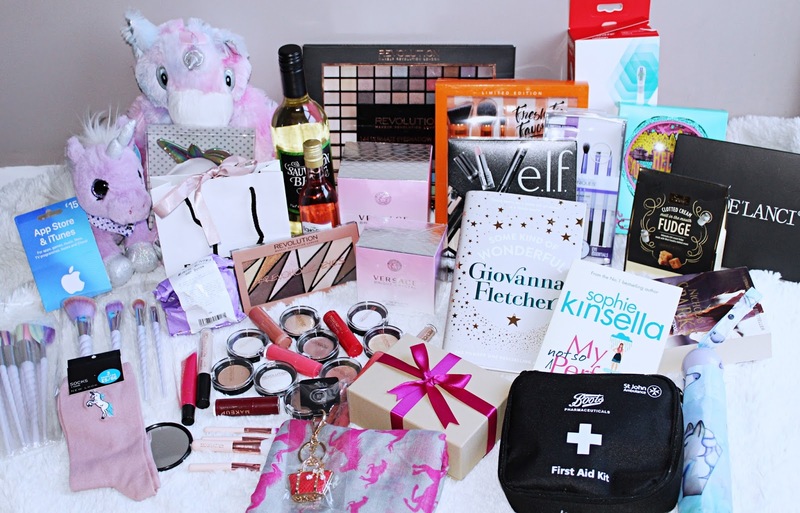 Please leave your 'What I got for Christmas' posts links down below as I would love to read them!